Armand Gutheim was born in 1960 and has for more than four decades been active as an artist, composer, director and choreographer as well as lyricist, librettist, photographer, painter and producer. It all started at the age of 8 when he was accepted at the Royal Swedish Ballet School in Stockholm. That was followed by educations in music, theater and film not only in Sweden but also in France and Denmark up to the university level. He deepened early in his studies in composition, orchestration and electronic music with teachers like Miklós Maros and Sven-Erik Bäck in Stockholm and José Manuel Lopez Lopez in Paris. Armand Gutheim's professional career began at the age of 19, when he got his first assignments at various theaters, ensembles and recording studios as a composer, musician, dancer and choreographer. Throughout the 1980s he was mainly active as a dancer within the internationally renowned Cullberg Ballet. 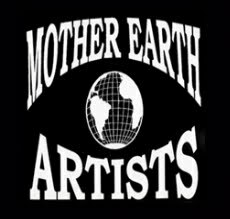 In order to work more multidisciplinary, Armand Gutheim became one of the founders of Mother Earth Artists in 1991, a production company, which since then has been the platform for his own creative work. He also created his own recording studio, Mother Earth Studio, after having been active at the Electronic Music Studio (EMS) in Stockholm from 1976 to 1995. Within the frame of the company, he has been working as an artist, composer, director and choreographer as well as lyricist, librettist, photographer, painter and producer within the fields of dance, theater, musical, film, TV and art, with emphasis on music. Among his venues and clients has been the different cultural institutions and organizers in both Sweden and other countries. As a composer Armand Gutheim has created music in various fields of expression, from modernistic and electro-acoustic music, with works for piano, chamber ensemble and orchestra, to musical theater and popular music for records, minor concert venues and major theater arenas. As a director and choreographer he has mainly created stage productions for family audiences, for short movies and music videos. He has as a lyricist, librettist and writer also created works for albums, stage productions and short movies as well as poetry and chronicles for magazines. As a photographer and painter he has presented works for calendars, illustrations and decorations as well as for different exhibitions. In his multifaceted productions, Armand Gutheim often expresses much empathy and involvement in the great human issues, but always letting the art speak for itself, not seldom with a glimpse in the eye.